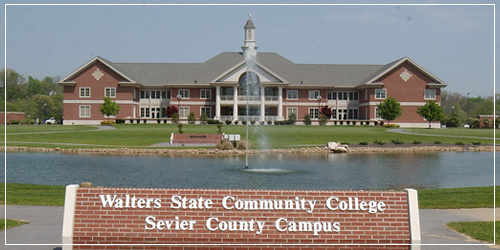 The Sevier County Campus provides academic credit classes during the day and evening and non-credit classes/training, in cooperation with the Community Education Program, as a part of the college's overall mission to provide leadership and academic opportunities to the entire service area of the college. Classes provide lifelong opportunities to individuals seeking to attain career and personal development goals and serve a society trying to cope with the problems and realities of rapidly changing patterns of living and employment. Culinary Arts, Hospitality Management and Professional Entertainment courses are provided to address the special educational/training needs of the community. The 67-acre Sevier County Campus is located at 1720 Old Newport Highway in Sevierville approximately one-half mile from Highway 411. 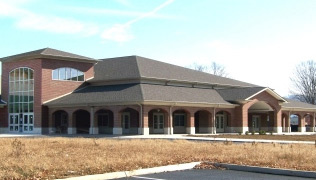 Currently, three buildings, made available through the generous support of the governmental bodies and private contributions of citizens in Sevier County, house a variety of general education and select technical courses. Each building has the latest video streaming and instructional technology in classrooms and public spaces. This campus serves over 1500 students per semester. Local information can be obtained by calling 865.774.5800. Available in Maples-Marshall Hall are general education classrooms, computer technology laboratories, science laboratories, a nursing skills laboratory/ classroom, a baking kitchen laboratory, an electronic library, student support offices, faculty and administrative offices. 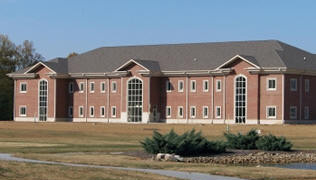 Classes in Allied Health, Public Safety, Natural Science and Computer Science and Information Technology are located in Maples- Marshall Hall. Cates-Cutshaw Hall houses thirteen general education classrooms, two computer laboratories, a student study area, faculty and administrative offices. Courses offered through the Behavioral/ Social Science, Humanities, and Mathematics divisions are based in this academic building. The Conner-Short Center provides space for general education, professional entertainment and culinary arts classes. This state-of-the-art facility has, in addition to general education classrooms, a dance studio, a band room, private music instruction / practice rooms, a hot foods production kitchen, a demonstration kitchen, main dining room, student dining room, and administrative offices.